Dutch design and architecture have been the subject of great international interest for more than ten years. This exhibition brings together the most interesting and surprising Dutch art books of the past few years. 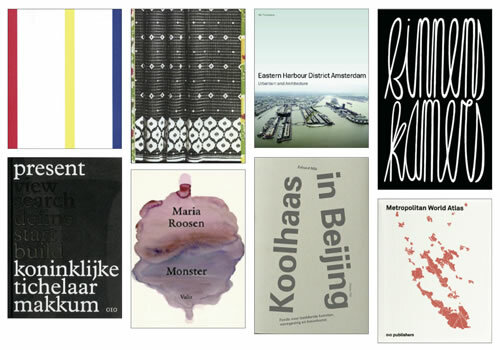 A part of the exhibition has been chosen by the Stichting Best Verzorgde Boeken (Foundation for the Best-Produced Books), which, since 1923, has made an annual selection of books published in the Netherlands. An expert jury assesses the books with regard to the quality of the design, typography and graphic-technical production. The 120+ books on display show the oeuvre of renowned artists, designers and architects from the Netherlands, and present the best of Dutch book design. The exhibition has been compiled by the Nederlandse Fonds voor Beeldende Kunst, Vormgeving en Bouwkunst (Netherlands Foundation for the Visual Arts, Design and Architecture). The host-country pavilion was also created with support from this Foundation.